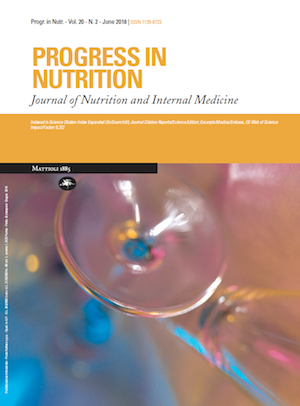 “Progress in Nutrition” publishes reviews, original scientific articles and letters to the Editor. The contributions should not have been published or submitted to other journals. The Journal publishes only in English. The publication of the afore mentioned documents is not remunerated. Please note that the Journal has change its policy and the publisher decided to introduce an article processing fee (500 euro). The fee is due for all the articles submitted. Please, if you don’t want to pay the fee, don’t submit the article, and if you have already submitted it, please, you should withdraw it. The new police doesn’t provide any waves or discount. The discount/waiver requests will not be answered. For submitting manuscripts to click on “Submission” in the homepage of the website. Authors should suggest, in the “COMMENTS FOR THE EDITOR”, from one to two potential Reviewers (full names+ email address + affiliation). The suggested Reviewers must have no conflict of interest with the proposal research. The journal cannot be held responsible for the material sent to other addresses. The acceptance of the manuscripts for publication is subject to the judgement of the referees designated for such task. All manuscripts that do not meet the following rules will be returned to the authors. 1) the title of the manuscript. 2) the full names of all the authors. 3) the affiliations of all the authors. 4) the abstract in English. 5) the key words in English. 6) the complete list of references (authors, titles, journal or article, year of publication, volume or issue, page number) and their number references within the text. References must be numbered consecutively in the order in which they appear in the text. The list of references should be typed in the end of article and numbered following the citation order, in accordance with the examples hereunder reported. Number references consecutively, in the order in which they are mentioned in the text; do not alphabetize. The list of references should be typed in numerical order of authors’names (all authors when six or less; whenseven or more list only the first three and add et al. ); article title, name of the Journal (abbreviated as in Index Medicus), publication year, volume and first and last page numbers. 7) figures and tables must be titled and numbered, in the order of their citation in the text. Legends are required whenever needed. 8) the figures can be embedded in the manuscript and should be placed at the end, after the tables, along with their legends. If Figures are prepared in jpeg or tiff (or high resolution pdf ) format, they should be loaded separately as supplementary files. Photographs, drawings, graphs, diagrams must have a minimum size of 10×15 cm. A minimum resolution of 300 dpi is required. 9) the author’s complete mailing address, telephone number, fax number and e-mail. Clear and complete texts, tables and illustrations helps to speed up the time for publication. Papers have not already been published or submitted for publication elsewhere. Papers must follow the instruction to Authors in Author Guidelines. 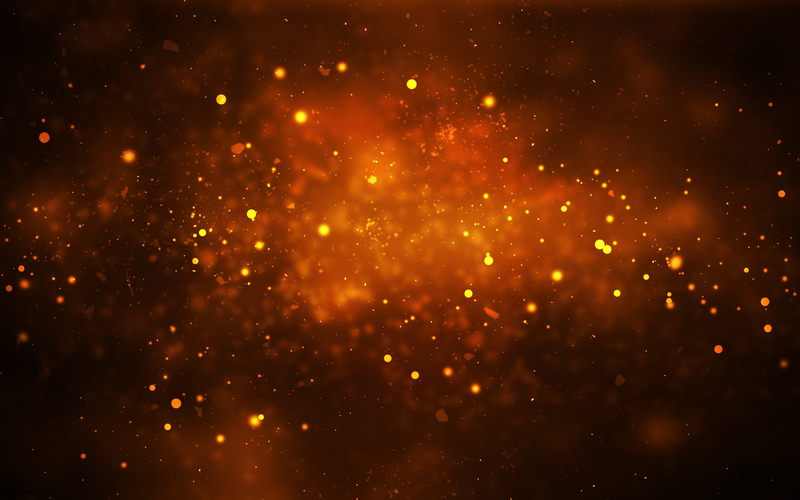 The submission form must contain the full names of ALL authors, using the button “ADD CONTRIBUTORS” with capital letters only for the first letter of authors’ names. If the submission has missed the co-authors name, it is not possible to add them later and THE SUBMISSION MUST BE REPEATED. Make sure that no author information is present in the manuscript file, since we are using double-blind peer review. Please, you should upload 2 files: “the title page” file and the manuscript file. The “title page” file must contain title, author information, abstract and key-words; this file will not be included in the review process. Publication fee: 250,00 Euros. Please note that the Journal has change its policy and the publisher decided to introduce an article processing fee. The fee is due for all the articles submitted. Please, if you don’t want to pay the fee, don’t submit the article, and if you have already submitted, please, you should withdraw it. The new policy doesn’t provide any waves or discounts. The discount/waiver requests will not be answered. 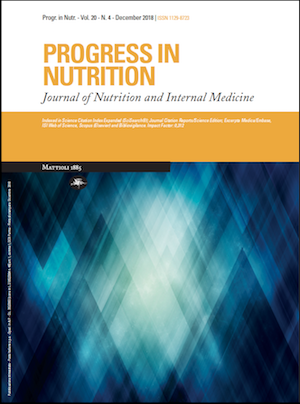 All articles in Progress in Nutrition, like in all our journals, are open access immediately after their publication. This is thanks to an article processing fee that allows us to cover a series of publishing services we provide, such as online tools for authors, article production and hosting, direct relation with indexing services and customer services. This fee (of 250,00 Euros) is to pay as soon as your manuscript is editorially accepted and before publication and it is charged to you or to your institution (or funder). The corresponding authors are responsible for making the payment or arranging it through their institutions. After that payment we proceed with the publication. – Fast review + fast publication in the next available publishing issue: a) 1,000 euro until 8 pages; b) 1,400 euro from 9 pages to over. Authors should suggest, in the “Comments for the Editor”, at least 2 full names (with their email address and affiliation) of potential Reviewers. The suggested Reviewers must have no conflict of interest with the proposal research. Please, specify the first name and the last name. The manuscript text file should include tables and tables and figure legends. Figures and Appendices with supplementary material should be uploaded separately. Figures prepared in jpeg/tiff format (or high resolution pdf). Make sure all references are complete and correct and they follow the guidelines of the Journal. Also make sure all references cited in the text are listed in the reference list and vice versa! When submitting a revised manuscript, authors must provide publication-ready source files. The main manuscript file should be provided as word processor files (e.g., .doc, .docx, .odt, .rtf) with high resolution figures submitted as separate files. The text file should include track-changes and you may upload an additional “clean version” without track-changes, as “additional file for review but not for publication”. 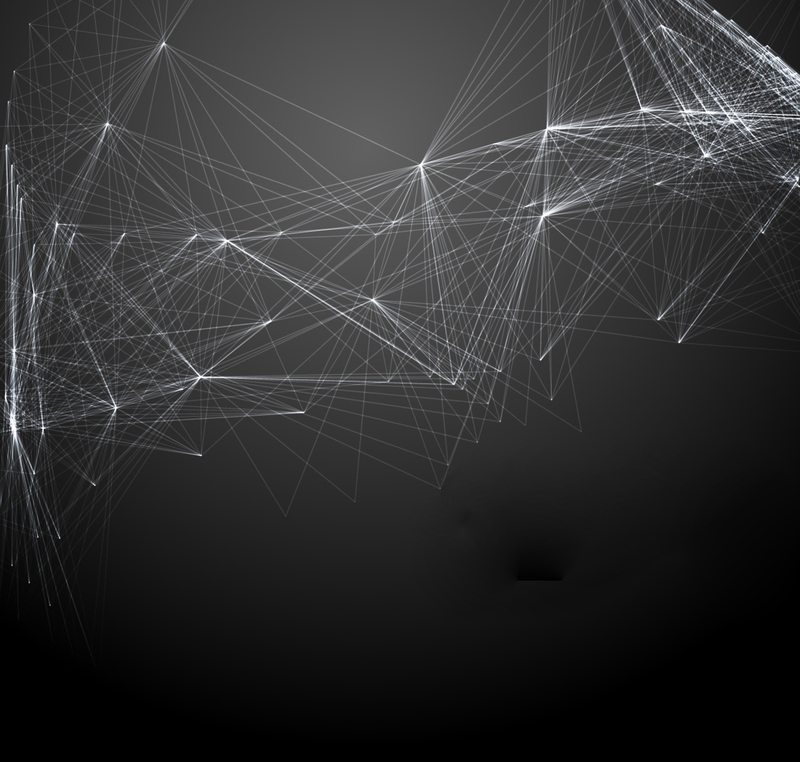 The corresponding author, also on behalf of all the other authors, should declare the existence or otherwise of financial connections (consultancies, ownership of shares, patents, etc.) that might constitute a potential conflict of interest in relation to the subject matter of the article. In the case of existence of any such financial connections, the authors concerned must declare them in a brief but complete definition. On the web site the possible presence of conflict of interest must be declared in the space provided. If no conflict of interest exists type: NONE. The publication fee can be paid by paypal, bank transfer or credit card; please click on the above button for payment by paypal or credit card. For bank transfer see below. The fee is due for all the articles submitted. Please, if you don’t want to pay the fee, don’t submit the article, and if you have already submitted, please, you should withdraw it. The new policy doesn’t provide any waves or discounts. The discount/waiver requests will not be answered. Starting from 1-1-2019, all submitted articles will have to pay a fee of 500 euro (for the articles submitted before 1st January 2019 the fee will be 250 euro. Fast review+fast publication (in the next available issue): 1000 euro until 8 pages and 1400 euro from 9 pages to over. The publication fee can be paid by paypal, bank transfer or credit card. Progress in Nutrition nasce nel 1999 come rivista indipendente, di taglio multidisciplinare, dedicata ai temi della nutrizione e del metabolismo. E’ organo ufficiale della Società Italiana di Scienza dell’Alimentazione ed è patrocinata dall’Associazione Ricercatori di Nutrizione e Alimenti (ARNA). Dal 2001 la recensione su Excerpta Medica, e dal 2008 la recensione sul circuito Thomson-ISI: Science Citation Index Expanded (SciSearch®); Journal Citation Reports/Science Edition e il relativo impact factor. Obiettivo primario della rivista è di costituire un veicolo di collegamento, di alto profilo scientifico, fra tutte le discipline a vario titolo coinvolte nel mondo della nutrizione. 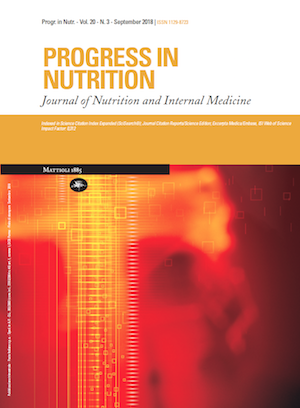 Progress in Nutrition è indicizzata da: Science Citation Index Expanded (SciSearch®); Journal Citation Reports/Science Edition; Embase/Excerpta Medica/Scopus, ISI Web of Science. 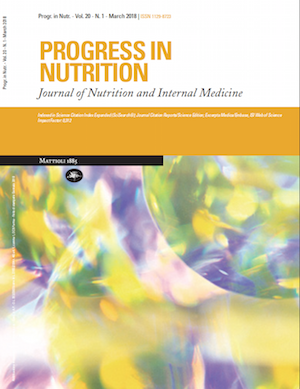 Progress in Nutrition was founded in 1999 as an independent magazine, a multidisciplinary approach, dedicated to issues of nutrition and metabolism. Official journal of the Italian Society of Nutritional Science (SISA) and sponsored by Nutrition and Food Researchers Association (ARNA). From 2001 is indexed by Excerpta Medica/Scopus, and from 2008 is indexed by Thomson-ISI: Science Citation Index Expanded (SciSearch®); Journal Citation Reports/Science Edition with Impact Factor. 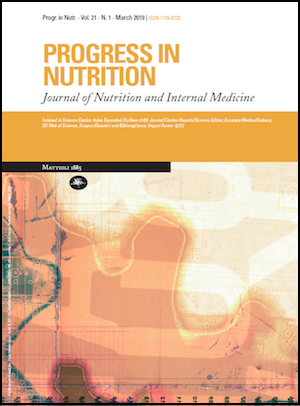 Progress in Nutrition is indexed in: Science Citation Index Expanded (SciSearch®); Journal Citation Reports/Science Edition; Embase/Excerpta Medica/Scopus, ISI Web of Science. È online il fascicolo 1/2019 della rivista Progress in Nutrition. È online il fascicolo 4/2018 della rivista Progress in Nutrition. È online il fascicolo 2/2018 della rivista Progress in Nutrition. È online il fascicolo 1/2018 della rivista Progress in Nutrition.